Dubai,UAE, March 29, 2018: In the ten years since it was established through a collaboration between Masdar, Abu Dhabi's renewable energy company, and SENER, the Spanish engineering and technology specialist, Torresol Energy has steadily pursued its mission to improve the competitiveness of large-scale concentrated solar power (CSP) plants. Since 2008, the 60/40 joint venture between SENER and Masdar has demonstrated that the technology behind its three plants in southern Spain (Gemasolar, Valle 1 and Valle 2) can deliver affordable, reliable, carbon-free energy straight to the electricity grid 24 hours a day. 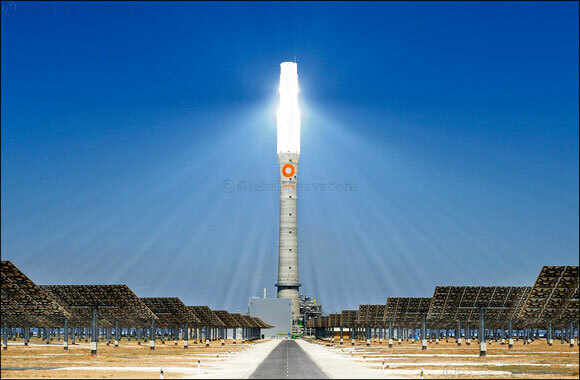 Gemasolar, located in Fuentes de Andalucia, is the world's first and only utility-scale solar power plant to combine a central tower receiver system and molten salt storage technology, enabling power generation 24 hours a day. The Valle 1 and Valle 2 plants in San Jos� del Valle use parabolic trough collectors to drive an electricity turbine with the heat of the sun, while also producing constant power thanks to a molten salt storage system. Torresol Energy started with a small team whose first objective was to secure the permissions required to develop its three plants Altogether, the three plants generate approximately 120 megawatts (MW), enough power to supply around 100,000 homes annually while displacing 122,000 tonnes of carbon emissions. Nearly 650,000 tonnes of carbon dioxide have been displaced since the plants began operations in 2011. Gemasolar was the world's first commercial-scale solar thermal power plant of its type, while Valle 1 & Valle 2 implemented technology innovations such as the SENERtrough® System. All three can produce electricity around the clock, the first ever solar power plants to do so. At Gemasolar, heliostats reflect sunlight onto a central receiver which stores heat as molten salt. This in turn generates steam which drives an electricity turbine. Valle 1 and 2 follow a similar principle, concentrating the power of the sun onto oil-filled pipes, the power source for a steam-driven electricity turbine, with molten salt providing up to eight hours of energy storage. Gemasolar is officially the world's longest running CSP tower plant, with seven years' uninterrupted operations to its name. All three plants have paved the way for Shams 1, the UAE's first large-scale solar power plant and the largest CSP plant in the world at the time of its inauguration five years ago. “Over the years, we have used the Torresol Energy plants as a test-bed for SENER's innovations in thermoelectric solar power, including trough collector loops, heliostats or other systems, which has allowed us to build up a critical knowledge-base to spearhead state-of-the-art technology and increase the competitiveness of CSP,” said Enrique de Sendagorta, President of Torresol Energy. The rise in CSP development across the globe is a testament to the successful groundwork laid by Torresol Energy.